The Firm provided counsel to the Republic of Paraguay in four-sovereign bond emission from 2013 to 2016 amounting to a total of US$ 2.200.000.000. The 2013 emission of US$ 500.000.000 was the first sovereign bond emission made by Paraguay in the international financial markets, and one of the most successful by a first time issuer. On all the occasions, the Firm’s assessed the conformity of the operations with Paraguayan law, drafted the necessary authorization. The Firm assisted Millicom International in the acquisition of Cablevision in the largest M&A operation of the Paraguayan telecom market, and advised Telecel S.A. in the public tender for the 700 Mhz bandwidth necessary to implement 4G-LTE technology. 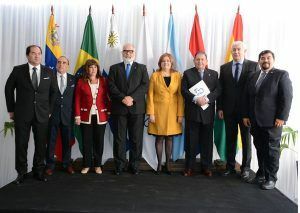 The Firm has provided counsel to financial state institutions, such as the Presidency of the Republic, the Ministry of Finance, the Paraguayan Central Bank, the Bank for National Development (Banco Nacional de Fomento), and the Financial Development Agency (Agencia Financiera de Desarrollo). The Firm has participated in drafting the following bills: the Organic Statute of the Ministry of Foreign Affairs, the Consumer Protection Law, the Organic Statute of the Paraguayan Central Bank, the Banking Act, the Antitrust Law, the Organic Statute of the Tourism Agency, the Administrative Reorganization and Fiscal Adjustment Act, the Public Financial Administration Act, the Organic Statute of the Financial Development Agency (AFD), Organic Statute of the Solicitor General, the Concessions Law, the Fiscal Responsibility Act, the Public Private Partnership Act, and the Organic Statute of the Council of State-owned Corporations. 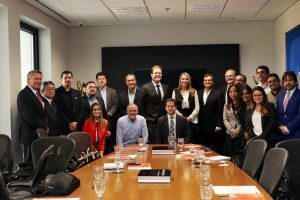 Parquet & Asociados has also provided legal counsel to public projects financed by the Interamerican Development Bank, World Bank, IMF, European Community and other multilateral institutions. The Firm is also currently assisting economic development firms such as Louis Berger, Castalia, and Deloitte in designing multiple infrastructure projects on water and sewage systems, and bus rapid transit systems in Asunción. The Firm also provided counsel in the banking sector to local banks Interfisa and Banco Regional as well as Goldman Sachs in finance operations in Paraguay. The Firm is also is a leader in the design and development of crossover collaborations between the Paraguayan state and the private sector. The Firm provided counsel to companies such as Elecnor, Mota Engil, Il Sung Construction Company, and Corporation America in public tenders for turnkey contracts, and public-private partnerships. 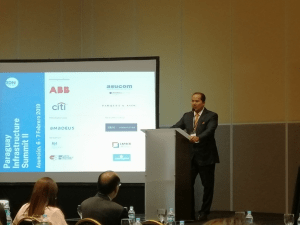 Parquet & Asociados is a member of Ontier, the first global law firm that has been created using an innovative model in which the local approach defines the international strategy. With 21 offices in 14 countries around the world all sharing the same unique brand, cultures and values, we combine local knowledge and expertise to find effective, commercial solutions to the most demanding international challenges. The Study is recognized as one of the TOP TIER of the Paraguayan legal market. 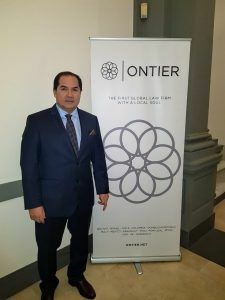 Parquet & Asociados is a member of Ontier, the first global law firm that has been created using an innovative model in which the local approach defines the international strategy.